Before dividing property, the court must first determine what property is the separate property of one of the parties and what property is marital. There is a presumption under Colorado law that all property acquired during the marriage is marital property. There are two exceptions to this rule. First, property acquired by gift to one party is that party’s separate property. Second, any property acquired by inheritance is the separate property of the inheriting spouse. It is also worth noting here that when property is acquired the parties can designate the property as the separate property of one spouse. If this is the intent of the parties, it is critical that this be made clear in a writing signed by both spouses so as to prevent a dispute later as to the nature of the property. Once the court has determined what property is the separate property of each spouse and what property is marital, the next step is to divide the marital property. A common misunderstanding is that all marital property will be divided equally between the parties. In fact, the law requires an equitable division of the property, and equitable does not always mean equal. One reason for the misunderstanding may be that the law specifically provides that the contribution of one spouse as a homemaker is not to be disregarded. The court can consider any evidence relevant to the question of what is an equitable distribution of the marital property and debts. In some instances, this will be an equal division. For example, it is common for a court to rule that real property will be placed on the market and sold, and the net proceeds be divided between the parties at closing. The judge does have the discretion, however to order an unequal division. Equitable basically means fair. Here the court has wide discretion and opinions will vary from judge to judge as to what fair means. Colorado law gives family court judges discretion to make these decisions. This discretion is one of the reasons many divorcing couples are able to come to an agreement as to the division of their own property and choose to do so instead of having the judge make the decision for them. One way attorneys approach the division of marital property is to compile a spreadsheet. They will assign each item a value and have a column for each party. The spreadsheet will then result in a dollar figure that one spouse owes the other in order for there to be an equal division. Remember that debts go on this spreadsheet as well. This means that the value of the home, say will be on the spreadsheet as will the mortgage owed. Vehicles are usually put on the spreadsheet as well along with any balance owed on any loans against the vehicles. If you are considering divorce or have been served with divorce paperwork, the law requires a determination of what is separate property and what property is marital in nature. A fair and equitable division of your assets and debts is then required to conclude the divorce process. If the marriage being dissolved was a long one, it is likely that most if not all property owned by the parties is marital and will be divided between the parties. On the other hand, if it is a relatively short marriage there may be significant property that was owned by one party or the other before the marriage. Any property owned by a party prior to the marriage remains the separate property of that party as a general rule. This may seem simple at first, but it can become complicated in some cases. For instance, a house purchased prior to the marriage may be the separate property of one spouse, while the increase in value of the house during the marriage is marital property. In addition, if during the marriage the couple refinance the home or for some other reason tile the property as joint tenants, the house becomes marital property, Colorado law provides that a gift to the marital estate has occurred and the entire home is marital property. Property issues are often times the biggest dispute in the divorce. Real estate is just one example of a significant marital asset that must be divided. 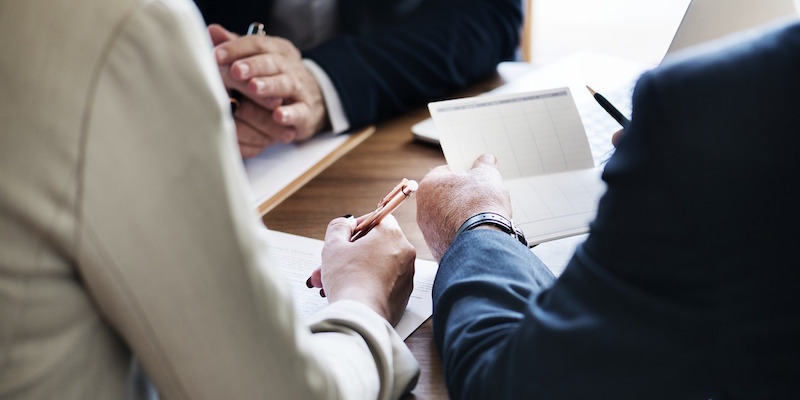 401K accounts, pension plans, investment portfolios and other financial assets are common examples of significant marital assets that must be divided in the divorce process. Division of these significant assets can have life long financial consequences for the parties to a divorce. One of the experienced family law attorneys at Gasper Law Group will be glad to meet with you to discuss the specifics of your case. Contact us today to discuss your case.